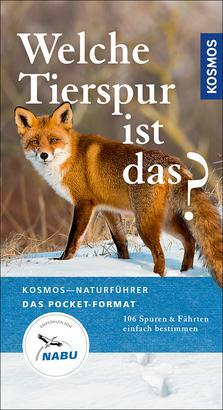 Product information "Welche Tierspur ist das?" The practical and competent nature guide for the jacket pocket. Extensive: The 106 best-known animal tracks and trails portrayed. Persuasive: All species with splendid photos. Proven: Unerringly identify spiders with the Kosmos color code. Extra: Typical characteristics at a glance. Klaus Richarz is a graduate biologist and heads the State Ornithological Station for Hesse, Rhineland-Palatinate and Saarland in Frankfurt. He is the expert on bird houses.